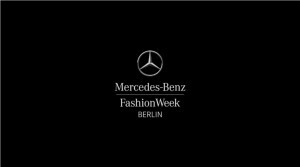 Even though the Mercedes-Benz Fashion Week Berlin already took place last week (02.-05. July 2013), it keeps being exciting to watch the AFDB Runway Show. _ ROMERO BRYAN from Jamaica (based in London) who collaborated with MUYOMBANO Jewelry (PURE Collection). It was an amazing experience to work with these talented Designers. This entry was posted in Collection_PURE, Miscellaneous, Projects we like and tagged AFDB, Africa Fashion Day Berlin, Angola, Arrey Kono, Cameroon, Jamaica, London, Mercedes-Benz Fashion Week Berlin, MUYOMBANO Jewelry, Nadir Tati, Romero Bryan, Spring Summer 2014 by muyombanojewelry. Bookmark the permalink.